Service Design South 2017 is the 12th edition of a successful course, first taught at University of the Arts London in 2009. In 2015 we've taken the course to Sicily, an ideal setting for practice, reflection, good conversations and connections over a glass of wine. Learning doesn't start and stop in Sicily. The training is designed as an end-to-end experience, starting in the here and now. Throughout the week, we use the raining itself as a way to illustrate new frameworks, apply tools and shoe the 'behind the scenes'. The course attracts senior managers from service providers, creative professionals and entrepreneurs, many of whom are looking for a new direction in their work. 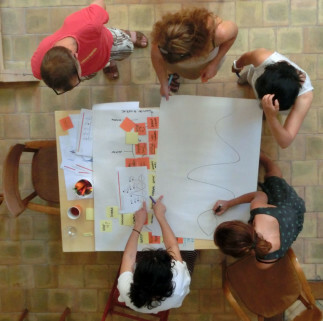 Both tutors regularly teach service design at Copenhagen Business School, University of the Arts London, Delft University of Technology and Politecnico di Milano.